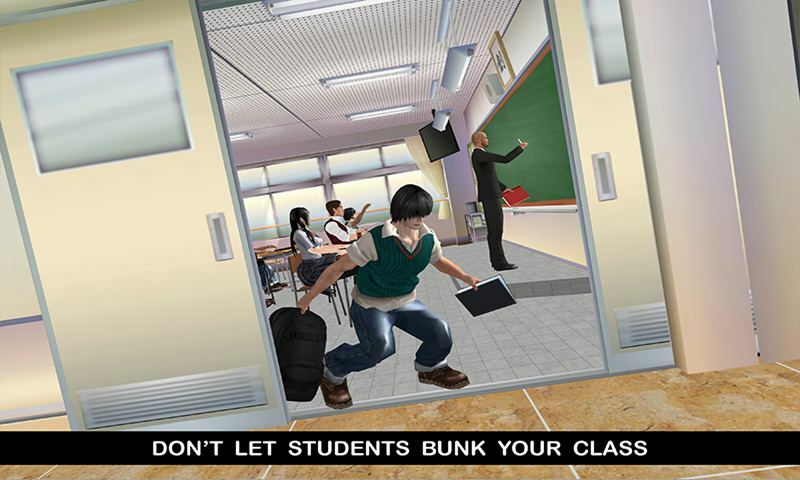 Play virtual high school teacher & teach some good manner to the bully students! Get ready to live the life of good virtual teacher and increase your teaching experience while playing Virtual School Intelligent Teacher simulator. Start your beautiful day to enter in the school and manage school based activities with the help of your teaching experience. Teach the student and share your knowledge as well as school life experience with the students. Virtual School Intelligent Teacher is thrilling game for all school game lovers and virtual teacher game fans. 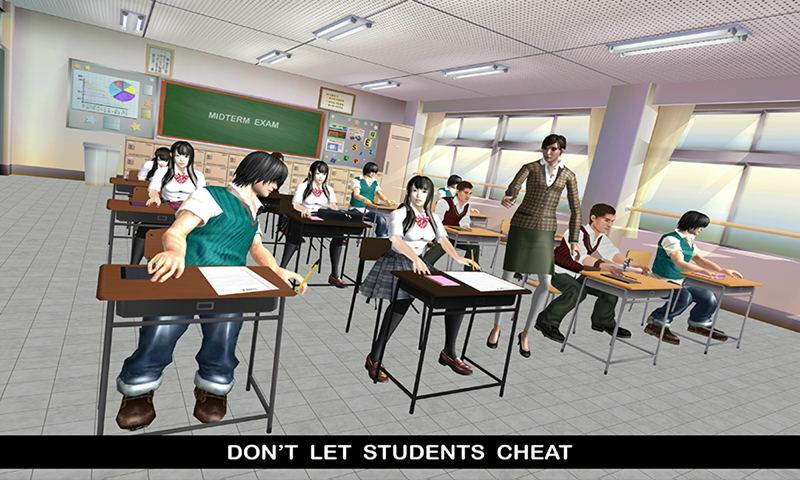 In this virtual game it’s your duty to catch the students who are trying to the cheat during classroom test and talk with your school colleagues about student’s future. Appreciate the students who are cleaning the classroom and through the trash in the dustbin. Virtual School Intelligent Teacher is exciting game with interesting gameplay where you play as virtual teacher and become a best class teacher in the virtual school. Check your class student attendance and catch the bunker boys while playing school teacher simulator. Give medal to the students on their good behavior and appreciate them. Catch the thief in the school and punish him. Catch the boys who are trying to cheat in the exam and disturb other students with the cheap activities. Choose your favorite teacher to play and increase your experience. Deliver the lectures to the class carefully and observe the student activities in the class. Student throw the paper ball in the class and misbehave with other students, it’s your duty to stop these students and fine them. Thrilling missions are ready to explore the game in gaming world and virtual simulator.